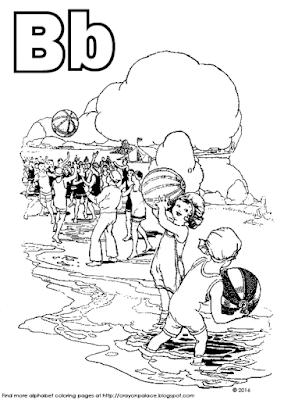 Children at the beach playing with a beach ball. Remind your young student of the shared experience both while you are coloring the sheet and practicing their writing and when you may be seeing or doing a similar activity depicted on the coloring page. Example: "Remember when we colored a beach scene? 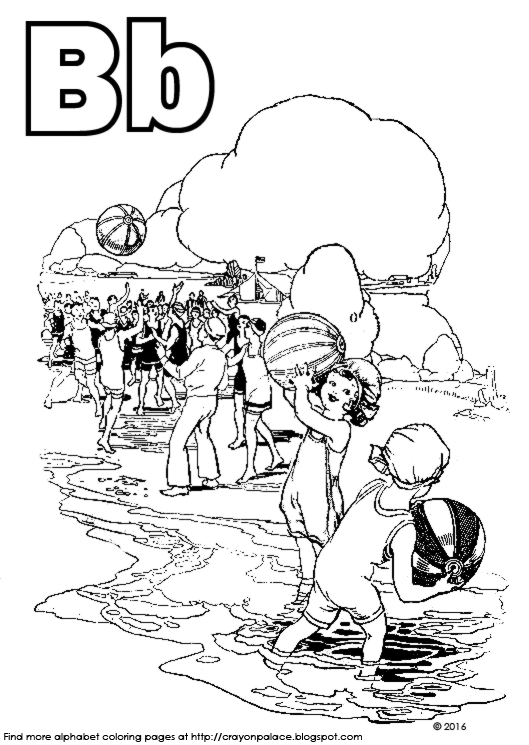 Would you like to play with a beach ball in the backyard?